The expiatory Temple of the Sagrada Familia is one of the most famous monuments of Barcelona, arguably the most famous. Also known as the Cathedral of the poor and was the work of Antonio Gaudí. Begun in 1882, still is under construction (June 2013). It is a still unfinished work. In 1926, on the death of Antoni Gaudí, only had built a tower and building project plans just keep and a model in plaster that was severely damaged during the Guerra Civil.Pero works not stopped and there are currently six Central Towers bases. According to 2011 (collected by Wikipedia), the Sagrada Familia is the most visited monument of Spain, with 3.2 million visitors. The temple was consecrated and declared a minor Basilica on November 7, 2010 by papa Benedicto XVI. Some years ago, in 2005, the facade of the Nativity and the crypt were declared world interest by UNESCO. 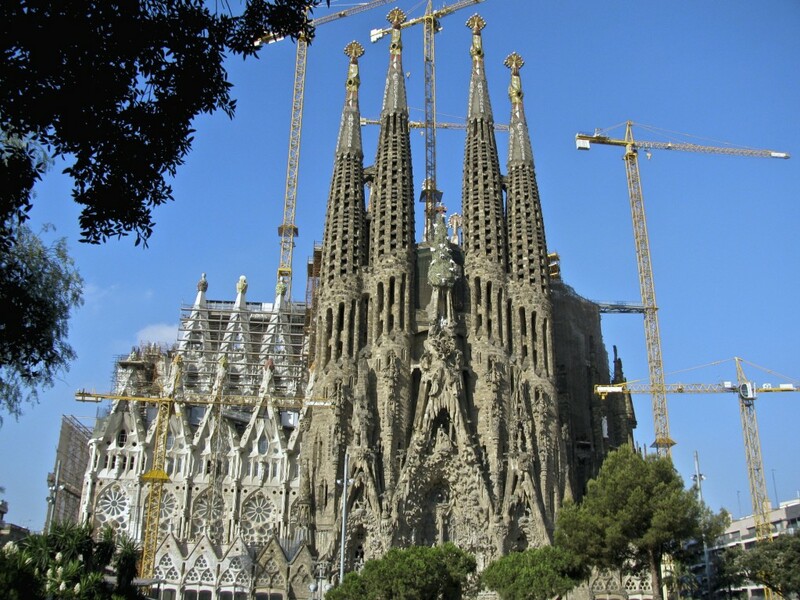 The construction started in neo-Gothic style, but to assume the project Gaudí in 1883, it was completely rethinking. From General sketches of the building, Gaudí improvised construction as it progressed. Gaudí took over the project with only 31 years old, and he dedicated the rest of his life, the last fifteen exclusively. One of the most innovative ideas of Antoni Gaudí was the design of the high circular conical towers that stand out from targeted portals, and are body height. He projected them with a satellite dish twist, given an upward trend to the entire façade, favoured by a multitude of Windows that pierce the Tower following spiral shapes. When they end the works of the Sagrada Familia, the Temple will have a total of 18 towers: four in each of the three facades and, by way of domes, you will have a set of six towers, with central dome Tower – dedicated to Jesus – 170 meters high, other four around it, dedicated to the evangelists, and a second dome dedicated to the Virgin. The Sagrada Familia is always surrounded by tourists. It is quite close to the Centre of the city, in a well-connected area (bus, metro) and full of restaurants, shops, and accommodations. The Barcelona Tourist Bus also has there one of their stops. Entstehen, soweit sie ersatzfähig sind.